PRPs – What are they, and why are they important? Develop a thorough understanding of HACCP principles in this International HACCP Alliance accredited, self-paced course. During this course, you will learn how to use the fundamentals of HACCP to prevent food safety hazards. Experienced trainers will explain Prerequisite Programs for Food Safety, GMPs, HACCP principles, and FSMA requirements using real world examples and scenarios. 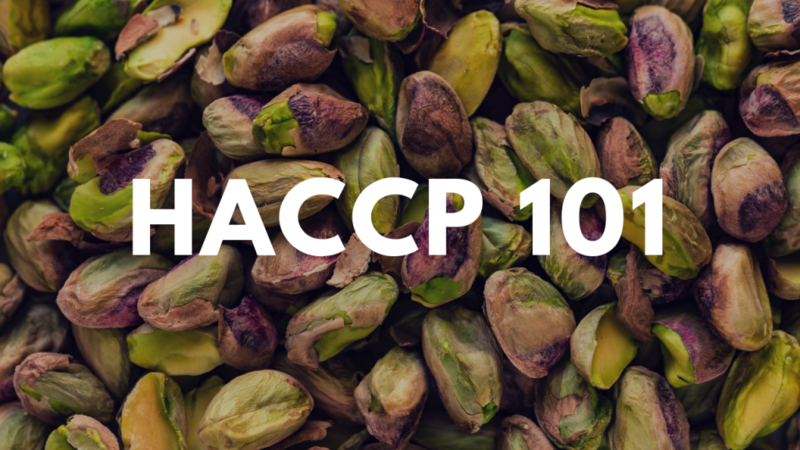 Each section includes interactive quizzes, videos, and exercises that will help students create their own HACCP plans and implement them in their facilities. Jon Kimble is the Senior Food Safety Manager for Safe Food Alliance. In this role, he helps companies achieve their strategic goals through training and consultation, and leads voluntary facility audits in the SQF, HACCP, and Costco schemes. Jon is a FSMA Preventive Controls Lead Trainer, FSMA Produce Safety Lead Trainer, FSMA Foreign Supplier Verification Programs Lead Trainer, an SQF lead auditor, and has 17 years of experience related to quality assurance and food safety. Jeremiah Szabo has over 16 years of experience in the food industry working in or providing services to food facilities. Jeremiah is currently the Vice President of Professional Services and is involved in all aspects of the business including laboratory analysis, research, training, consulting, and certification audits. As a member of the Training and Consulting team, Jeremiah is a FSMA Preventive Controls Lead Trainer, FSMA Produce Safety Lead Trainer, BRC and SQF lead auditor. Thomas Jones is the Senior Director of Analytical Services at Safe Food Alliance. Mr. Jones has conducted research into the survival of pathogenic bacteria in dried foods and the effects of commodity fumigation on toxigenic molds. He has also lectured in many training seminars for the food industry on a variety of topics, including microbiology, sanitation, GMPs, HACCP and product recalls. Mr. Jones is a member of the Institute of Food Technologists, AOAC International, the American Society for Microbiology and the International Association for Food Protection.